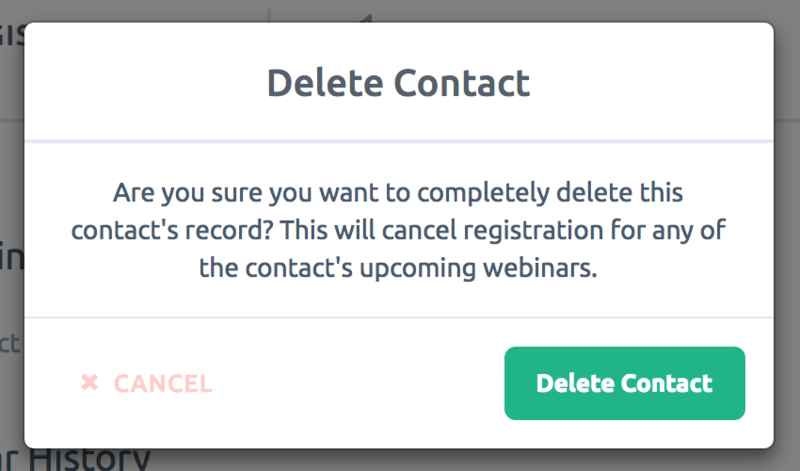 Learn how to remove a contact from a specific event or across your entire account. 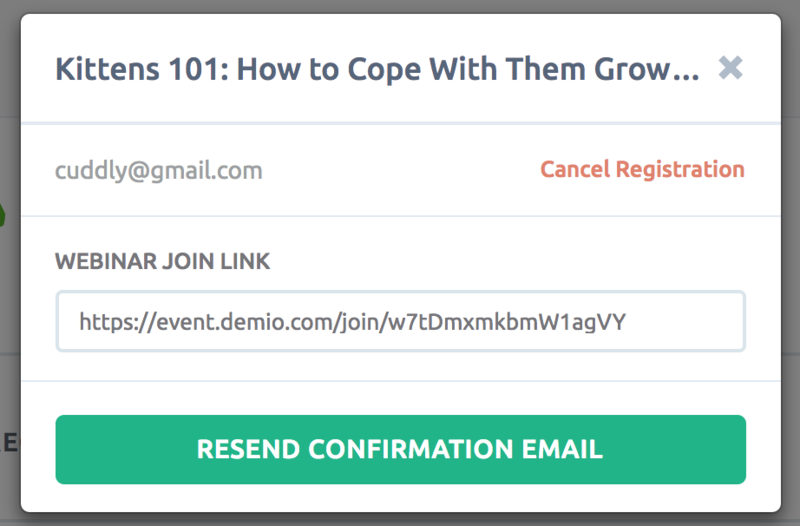 Unregistering an Attendee from a upcoming webinar or series is simple. Login to your account → Click on the Contacts section. 2) Search for a contact by typing their email address or name in the search bar → Select the desired contact from the dropdown list. 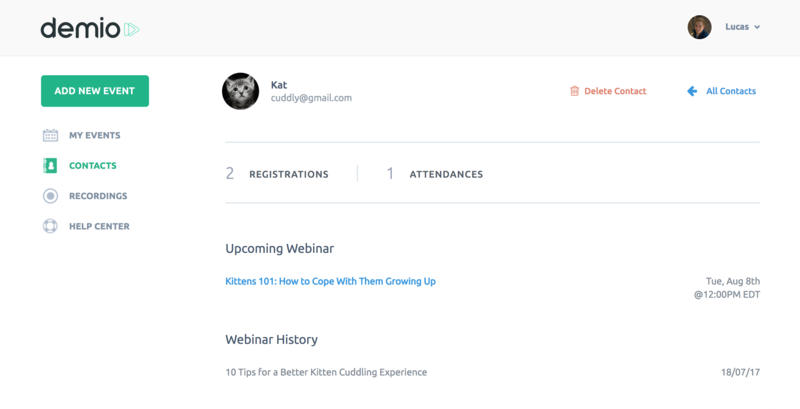 3) Details (including Upcoming webinars) of the selected contact will then be displayed. 4) Click on the Upcoming Webinar from which you want to unregister this contact. 6) Confirm the cancellation by clicking the green ‘Cancel Registration’ button. Login to your account → Click on Contacts. 2) Search for a Contact by typing in their email address or name in the search bar → Select the desired contact from the dropdown list. 3) Details of the selected contact will be displayed along with a ‘Delete Contact’ link on top --> You can then click the ‘Delete Contact’ button in order to delete that contact from your list. 4) Click on ‘Delete contact’ button to confirm the deletion. PLEASE NOTE: The deletion of any contact will also unregister that contact from all upcoming webinars and all past webinar reports.